The Ministry of Finance Tuesday discussed a grant of 21.5 million euro with the German Development Bank to develop and support Palestinian municipalities. The ministry said in a press release that in accordance with the grant’s guidelines, the Palestinian government must commit to pay 10% of the value of the grant. Both parties agreed on the importance of continuing cooperation between Palestine and Germany, especially when it comes to municipalities since Germany is considered one of the biggest donor countries in this field. 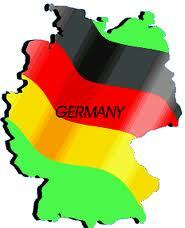 Minister of Finance Shukri Bshara stressed the importance to continue the Palestinian-German cooperation. 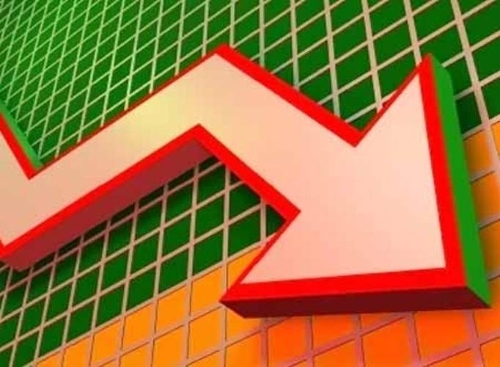 The overall Quantity of Industrial Production Index (IPI) in Palestine reached 118.56 during June 2013 with a decrease of 5.32% compared to May 2013, Palestinian Central Bureau of Statistics (PCBS) said in a press release issued Tuesday. Quantity of Industrial Production Index for June 2013 decreased due to the decrease in the manufacturing industry by 9.17% compared to May 2013, which had a share of 80.56% from the total industry. While water and electricity supply industry which had a share of 14.85% of the total industry increased by 11.90% compared to the previous month. Also, the activity of mining and quarrying increased by 2.18% during June 2013 compared to the previous month which had a share of 4.59% of the total industry. Since the closing of the Rafah crossing by the Egyptian army, the Gaza Strip has turned into a “big prison,” according to Hamas. Thousands have been stranded there, including students, patients and people holding visas and passports to other countries. There has also been a shortage of fuels and basic necessities due to destroyed supply tunnels. The fuel shortage has caused hundreds of deaths in Gaza hospitals. On Monday, around 285 truckloads containing a variety of necessities were delivered to the Gaza Strip, from Israel. There were also 150 tons of fuels, which will relieve the hospital emergency for now. The trucks came via Kerem Shalom Crossing under the Coordination and Liaison Administration in Gaza. They also carried much needed construction materials. The closing of Rafah has also impacted the number of foreign delegations that have been able to enter Gaza, according to the Hamas-controlled Foreign Ministry. While more than 180 delegations visited the Gaza Strip in the first six months of 2013, only two entered Gaza during July after the ouster of Egyptian president Mohamed Morsi. 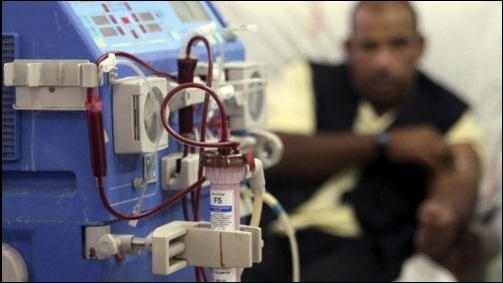 Hospitals in the Gaza Strip are facing a fuel shortage, which has severely affected their ability to treat patients. The fuel is needed to power the hospitals’ generators. The fuel shortage has caused almost 500 Palestinian deaths and hundreds more are at risk of dying if the generators cannot run. The Egyptian army closed the Rafah crossing, Gaza’s only point of entrance or exit on the 3rd of July, leaving thousands of people stranded. Egypt has also prevented the transport of basic necessities into the Gaza Strip via tunnels over the past few months. Several of the tunnels were flooded by the Egyptian army in February. The Gaza Strip has been under a land, aerial and naval blockade by the Israeli regime for six years following the election of Hamas, a Palestinian resistance movement, to govern the territory. In addition, the closure of the Rafah crossing - Gaza’s only gateway to the outside world - by the Egyptian army since July 3 has prevented thousands of people from crossing in and out, leaving many stranded, including patients, students, and people who hold visas and citizenships to other countries. 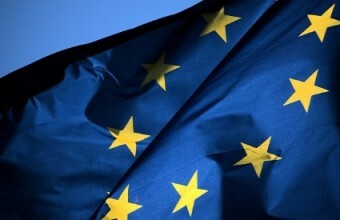 The European Union has contributed on Friday approximately €10.9 million to the payment of the salaries and pensions for July of nearly 75,000 Palestinian civil servants and pensioners in the West Bank and the Gaza Strip, the European Commission said in a press release. This contribution is funded by the European Commission (€10.0 million) and the Government of the Netherlands (c. €0.9 million earmarked specifically to the PA salaries in the Justice sector). The Government of the Netherlands has also made an additional separate contribution of €1.5 million to cover part of the wage bill of more than 18,000 members of the Palestinian civil police and civil defence, which includes fire-fighters and rescue workers. Both contributions are being channelled through PEGASE, the European mechanism for support to the Palestinians. "This latest contribution of the European Union to the salaries and pensions of civil servants working for the Palestinian Authority comes against a background of positive momentum in the peace process with the launch of direct negotiations in Washington. 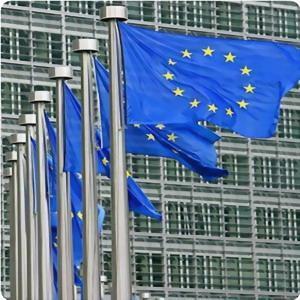 The EU reiterates its solid support for the Palestinian Authority and its achievements to-date. The contribution from the Government of the Netherlands is particularly welcome as it targets the rule of law sector, an area where the Palestinian Authority has made significant progress. I would like also to take this opportunity to wish our Muslim friends in Palestine a happy and joyful Eid Al-Fitr." said John Gatt-Rutter, the European Union Representative. “The additional financing will allocate 66 percent of the total funding to cover under-served areas where the Palestinian Authority has difficulties operating,' she added. The press release said that the project will utilize up-to-date data and poverty estimates at the local level to improve the targeting of services to poor and disadvantaged communities. The project will encourage collaboration among NGOs and with the government and academic institutions at the local and national levels. “The World Bank has long recognized the important role played by NGOs in delivering much needed services to the poor and vulnerable,” said Mariam Sherman, World Bank Country Director for West Bank and Gaza. 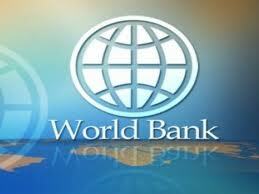 With the additional financing, the World Bank Group support of the institutional development of the Palestinian NGO sector totals $38 million, the release said. 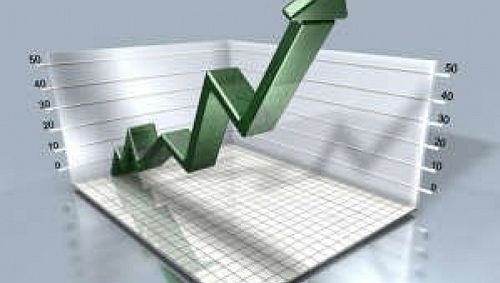 The overall Producer Price Index (PPI) for Palestine reached 103.36 in June 2013, as it increased by 1.17% compared to May 2013, Palestinian Central Bureau of Statistics (PCBS) said in a press release Monday. Producer Price Index for locally consumed products reached 103.25 in June 2013, which indicates an increase by 1.26% compared to May 2013. Producer Price Index for exported products reached 104.56 in June 2013, which indicates an increase by 0.25% compared to May 2013. The changes of Producer Price Index for June 2013 were traced back to changes in prices of the following activities compared to the previous month, including an increase in Agricultural goods by 3.01% and Manufacturing group by 0.24%. At one stage an estimated 2,500-3,000 tunnels snaked their way under the desert fence between Gaza and Egypt. A recent crackdown by Egyptian authorities has seen an estimated 80 percent of tunnels closed, leading to a severe shortage of fuel and basic building material. In June, over 20,000 people lost their jobs in the construction industry as a result of shortages in raw materials which arrive through the network of tunnels. The economy of the Gaza Strip lost an estimated $230 million in June due to the closure of smuggling tunnels by Egyptian authorities, Gaza's minister of economy said Tuesday. Over 20,000 people have lost their jobs in the construction industry as a result of shortages in raw materials which usually arrive through the network of smuggling tunnels under the Gaza-Egypt border, minister of economy Alaa Rafati told Ma'an. "The siege Israel imposed on Gaza is still in effect, though it was loosened at a certain point thanks to the tunnels," Rafati said. Nearly 90 percent of projects funded by Qatar and Turkey have been suspended due to a lack of supplies to Gaza since June 15. Supplies allowed through by Israel via the Kerem Shalom crossing only cover around 30 percent of the population's needs, Rafati said. "We don't oppose closing the tunnels, but an alternative must be found first, which is opening the Rafah crossing for the entry of goods." Egypt has destroyed dozens of tunnels since last August following the killing of 16 Egyptian soldiers in a militant attack near the Gaza fence. 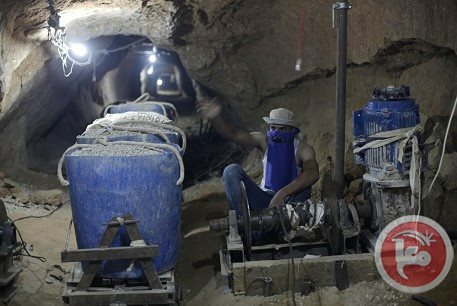 Political unrest in the country and security measures in the Sinai peninsula have also caused a large slowdown in the tunnel trade, which has severely damaged Gaza's construction industry. Egypt abruptly closed the Rafah terminal for five days in June after a rise in militant attacks in Sinai following the army's ouster of Islamist President Mohamed Mursi. It partially reopened the border on June 10. At one stage an estimated 2,500-3,000 tunnels snaked their way under the desert fence but the network has shrunk markedly since 2010, when Israel eased some of the limits they imposed on imports into the coastal enclave. 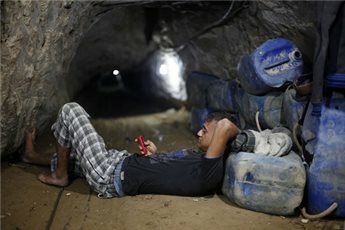 The UN Special Coordinator for the Middle East Peace Process, Robert Serry, said Tuesday that 80 percent of tunnels used to smuggle goods and arms into the Gaza Strip from Egypt are "no longer functioning" due to a crackdown by the Egyptian military after it ousted President Mohamed Morsi this month. UN Middle East peace envoy Robert Serry told the UN Security Council that the Gaza Strip was experiencing "some serious shortages of fuel and basic building materials for which the tunnels had become the primary entry point due to severe restrictions on imports via the official crossings and the higher cost of fuel available from the West Bank and Israel." The tunnel crackdown has gathered pace since the Egyptian military ousted president Morsi from power earlier this month. "As a result of these actions against illegal activity, according to some estimates, 80% of the tunnels are no longer functioning," Serry said. The impact of the fuel shortage in the Gaza strip is extended to the fishing sector, where the fishing boats have stopped working resulting in the shortage of fish quantity in the strip especially after the demolition of tunnels that were the main source to provide Gaza with fish. Ahmad Farouq, 40, is one of the fishermen who stopped sailing due to not getting the required amounts of fuel. We were looking for a solution to put an end to the Israeli persecution in the Gaza Sea, now we are looking for a solution to the fuel crisis, Farouq told PIC reporter. He expressed hope that they could bring fish from El-Arish Sea. The whole issue is related to the Egyptian crisis, he added. For his part, the fisherman Ahmad Zeidan noted that the ongoing fuel shortage reached an alarming level, warned of a real catastrophic situation in fishing sector. He said that this tragic hardship adds more to the suffering they've been through during the blockade where they can't sail for more than 6 nautical miles in the Mediterranean Sea. There are approximately 3550 fishermen in the Gaza strip and around 1000 fishing boats that had stopped working due to the fuel crisis, Head of the Fishermen’s Union Nizar Ayyash said. Ayyash pointed out that 70% of the fishermen in the Gaza strip are unemployed. They are waiting for opening all Gaza crossing to put an end to the current crisis. Gaza is witnessing a humanitarian crisis due to the Egyptian decision to close Rafah border crossing and to shut tunnels that are described as the only main lifeline to provide Gaza with fuel supplies, commodities, and goods that alleviate impacts of the Israeli siege which was imposed on the strip seven years ago. 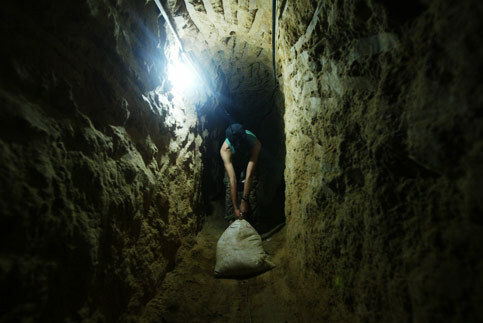 A worker calls on smugglers as he brings gravel into a smuggling tunnel beneath the Gaza-Egypt border in Rafah. The UN Special Coordinator for the Middle East Peace Process said Tuesday that Egypt's crackdown on smuggling tunnels, together with ongoing Israeli restrictions, have created severe shortages in Gaza. Robert Serry, speaking to the UN Security Council, said political developments in Egypt have led to an intensified campaign against smuggling tunnels along the shared border. "As a result of these actions against illegal activity, according to some estimates, 80 percent of the tunnels are no longer functioning," Serry was quoted as saying by Reuters. The crackdown has led to serious shortages of fuel and basic building materials, Serry added. The top UN official warned that access into Gaza through legal crossings must be liberalized, otherwise economic and humanitarian conditions would further deteriorate. "We encourage all parties not to forget the precarious situation in Gaza and to take advantage of the improved context between the parties to further lift the remaining closures," the Special Representative said, also calling on Egypt to keep open the Rafah crossing for people. Gaza's minister of economy said earlier this week that the economy had lost an estimated $230 million in June due to the closure of smuggling tunnels by Egyptian authorities. Over 20,000 people have lost their jobs in the construction industry as a result of shortages in raw materials which usually arrive through the network of smuggling tunnels under the Gaza-Egypt border, Alaa Rafati told Ma'an. At one stage an estimated 2,500-3,000 tunnels snaked their way under the desert fence. The European Union said Wednesday that it will finance the construction of seven new courthouses in the West Bank as well as the headquarters building of the Palestinian Bar Association for a total cost of €21 million, according to an EU press release. It said construction will commence in April of next year. It said the High Judicial Council use rented buildings which were both inadequate and in poor condition to serve as courthouses. The courthouses will be built in Qalqilya, Tubas, Salfit, Dura and Halhoul. “Applying the rule of law is fundamental to any democratic and modern state and must also be the foundation of the future State of Palestine,” said the EU Representative John Gatt-Rutter. “Today we mark the beginning of an important work which goes beyond infrastructure. The EU's goal is to support the capacity of justice institutions in Palestine to better serve Palestinian citizens. That’s why in the last few years we have specifically focused on the rule of law sector,” he added. In the last three years, the EU has invested a total of €35 million in the justice sector. Aside from infrastructure, it supports Palestinian Authority programs in the field of legal aid and juvenile justice and works with the High Judicial Council, the Palestinian Bar Association and the Palestinian Judicial Institute to improve their services. On legal education, the EU has helped develop master degrees in Advanced Legal Studies across Palestinian universities and the first-ever Palestinian diploma program training candidates to become judges and prosecutors. The Palestine Monetary Authority (PMA) has launched in a press release the results of July Business Cycle Indicator (PMABCI). The PMABCI is a monthly index which aims to capture the state and evolution of the Palestinian business environment overtime, especially in the manufacturing sector and the impact on economic activities at large. In specific, the index reflects fluctuations in output and employment in the manufacturing sector and the impact on the overall Palestinian economy. The index also provides real-time information about the economy, and thus helps in taking the appropriate decisions without having to wait for the release of actual data on macroeconomic indicators that need longer time to produce. The construction of the index follows international standards and is based on qualitative data obtained from monthly business surveys, all belonging to the manufacturing sector, and selected via stratified random sampling. The respondents are asked a number of qualitative questions related to production, sales, inventories, and near-term expectations about production and employment. The answers are then weighted according to each industry's share in total employment in the manufacturing sector, yielding a single value ranging from -100 (poor performance) to +100 (the highest score, indicating strong business performance and positive prospects). More than its absolute values, the evolution of the index over time is what reflects activity over the business cycle. 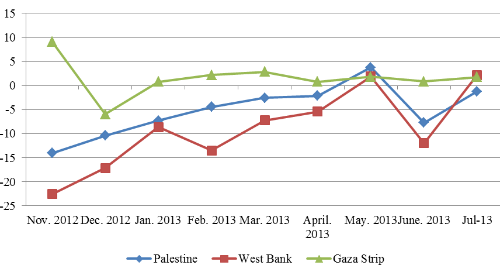 At the national level, the overall PMABCI indicates a large increase in July 2013, from -7.71 in June 2013 to -1.21.The behavior of the index has been different in the West Bank (WB) and Gaza Strip (GS). 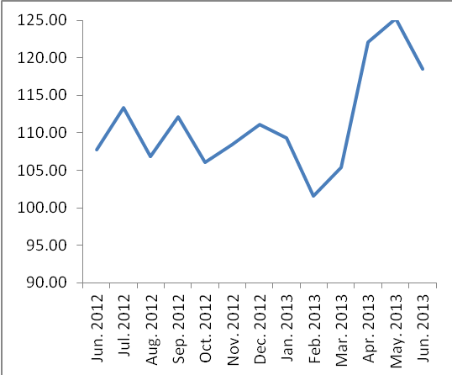 In WB, a high increase took place from -11.99 in June 2013 to 2.21 in July. This increase, in turn, indicates a further improvement in expectations about the economic performance in WB in the short run. 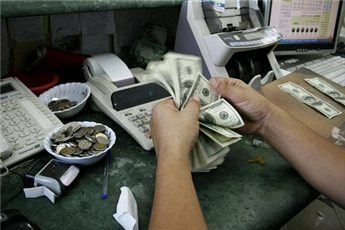 The figures also reveal the apparent fluctuations in the WB economic performance in the previous months as a result of various political and economic factors, especially the unclear prospect regarding the peace process and resuming the Palestinian-Israeli negotiation, in addition to the continuous political schism between the WB and GS. In GS also, there was a slight increase during the last month, although the index remains at a positive 1.76, indicating economic performance close to levels attained since December 2012. In general, GS still suffers from Israeli siege and political uncertainty that affect various aspects of life, and significantly impact economic performance negatively, discourage economic recovery, and, as a result, limit expectations about any economic improvement in the short run. In general, the overall index indicates that recovery in economic activity that took place during the past months of 2013 was back on the track in July, as a result of improvement in some industrial sectors such as food industries (index increased from 0.37 to 1.97) and furniture (from 0.24 to 1.75). On the other hand, engineering industries suffered a large contraction (index decreased from -0.6 to -3.98). The Palestinian Central Bureau of Statistics (PCBS) issued a press release about the Palestinian Registered* External Trade in Goods of May 2013. Exports decreased in May, 2013 by 3.2% compared to April, 2013 and increased by 11.6% compared to May, 2012 and reached USD 71.8 Million. Exports to Israel decreased in May, 2013 by 0.8% compared to April, 2013 and represented 91.5% of total exports in May, 2013. On the other hand exports to other countries decreased by 22.9% during the same period compared to April, 2013. 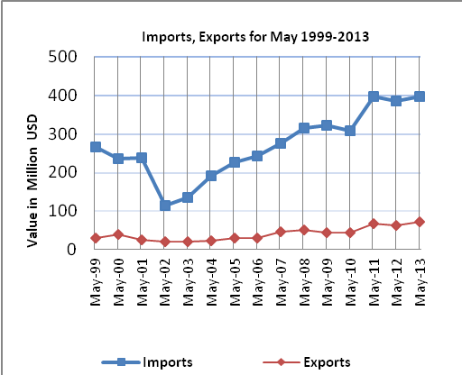 Imports decreased in May, 2013 by 1.6% compared to April, 2013. And increased by 2.7% compared to May, 2012 and reached USD 396.2 Million. Imports from Israel increased by 0.5% in May, 2013 compared to April, 2013 and represented 65.2% of total imports in May, 2013. On the other hand, imports from other countries decreased by 5.3% compared to April, 2013. For the Net Trade Balance on Registered Goods, the trade balance which represents the difference between exports and imports showed a decrease in trade deficit by 1.2% compared to April, 2013. And increased by 0.9% compared to May, 2012 and reached USD 324.4 Million. Palestinian Central Bureau of Statistics (PCBS) issued a press release about the Price Indices for the Construction Cost Index (CCI), Road Cost Index (RCI), Water Networks Cost Index (WNCI) and Sewage Networks Cost Index (SNCI) in the West Bank during June 2013. The overall Construction Cost Index (CCI) reached 112.99 with a decrease of 0.24% in the West Bank during June 2013 compared to previous month. The changes in the Construction Cost Index for June 2013 are traced back to changes in the cost of the major construction inputs compared to the previous month, including a decrease in Raw material, cement products, tiles and panels from ceramic, ceramic products , cement, lime & gypsum, cutting & shaping stones and iron and steel by (0.41%, 1.19%, 1.00%, 0.82%, 0.58%,0.51%, 0.19% respectively). The overall Road Cost Index (RCI) reached 116.95 with an increase of 0.36% in the West Bank during June 2013 compared to May 2013. The changes in the Road Cost Index for June 2013 are traced back to the changes in the cost of the major road inputs compared to the previous month, including an increase in raw materials by 0.51%, Asphalt, bitumen mixture and its products by 1.18% and Quarries & quarrying products by 0.41%. The overall Water Networks Cost Index (WNCI) reached 110.14 with an increase of 0.04% in the West Bank during June 2013 compared to May 2013. The changes in the Water Networks Cost Index for June 2013 are traced back to the changes in the cost of the major water networks inputs compared to the previous month, including an increase in the construction work and paint by 0.22% and excavations by 0.12%. The overall Sewage Networks Cost Index (SNCI) reached 106.97 with an increase of 0.25% in the West Bank during June 2013 compared to May 2013. The changes in the Sewage Networks Cost Index for June 2013 are traced back to the changes in the cost of the major sewage networks inputs compared to the previous month, including an increase in asphalt, bitumen mixture and its products, deface materials, fountains, excavations, plastic and cement pipes, administrative expenses by (1.15%, 0.42%, 0.33%, 0.12%, 0.16%, 0.27% respectively). About 80 percent of tunnels used to smuggle goods and arms into the Gaza Strip from Egypt are "no longer functioning" due to a crackdown by the Egyptian military after it ousted President Mohamed Morsi this month, a UN official said on Tuesday. Hamas, which taxes much of the traffic through the underground passages, has been hit hard by the losses. Ordinary Palestinians, many of them dependent on UN aid handouts, have seen prices for staple goods skyrocket. 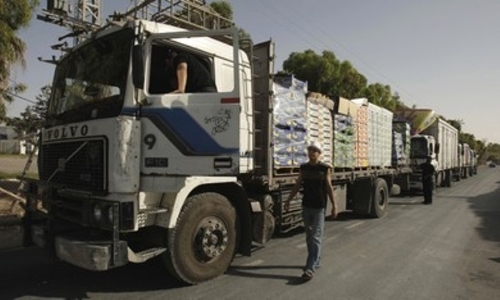 "While the only Israeli crossing for goods ... has remained open and is handling increased quantities of consumers' goods, we are concerned that already difficult economic and humanitarian conditions in Gaza will further deteriorate, if access into Gaza through legal crossings of basic commodities like building materials is not liberalized," Serry said. Natural gas assets in the Mediterranean Sea have long played a crucial role in politics; it is therefore easy to see why they continue to receive media attention. Yet, surprisingly, few mention Gaza in this context. Why would they? Gaza is a small, densely populated costal strip isolated geographically as well as economically from the rest of occupied Palestine. Here, the Israeli siege on the territory creates constant shortages of food and fuel. The population of Gaza suffers from daily power-cuts that sometimes last up to 18 hours. A majority of the gas in Gaza since 2011 has been imported at high cost from Egypt through the Rafa border crossing. This is a huge burden for an already struggling economy that is being kept afloat by foreign support. Contrasting with the poverty of Gaza’s population is the Palestinian territory’s rich endowment of gas reserves. Thirty-six miles from land stands the oilrig Gaza Marine 1, beneath which lies Gaza’s own treasury: vast gas fields that the company British Gas estimated to be worth around 7 billion US dollars. Yet the gas never leaves the seafloor and the profit remains an illusion. Why? The fields were discovered in the mid nineteen nineties by one of the world’s leading gas companies, British Gas (BG), which was at the time operating in the Sinai. In 1999, the Gaza-agreement was signed, giving BG the biggest part in the exploration licence. The deal would also profit the Palestinian people through taxes and royalties. BG estimated that 800 million dollars invested would generate over four billion, a return of more than four hundred percent. The project went smoothly in the beginning; between the years 2000 and 2002 BG spent an estimated 100 million dollars on drilling and studies. There was only one obstacle: Israel. Israeli politicians realised the risk the gas constituted to the future of their occupation of Palestine, because as long as Gaza is kept poor and economically dependent on international support it will remain politically impoverished. Israel therefore claimed that since PA would be unable to ensure the security of important construction related to gas extraction, a pipeline would be built from the gas field directly to Israeli ports. Palestinian officials immediately rejected this suggestion because it would deprive the people of Gaza the profits created by the extraction of their own gas. 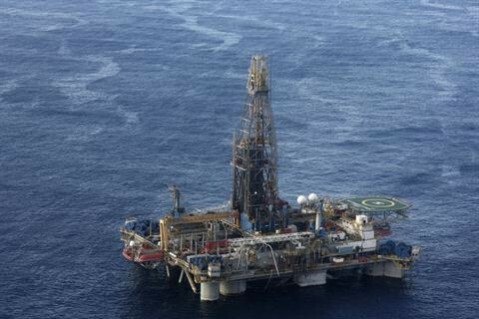 Since Israel would also be the main purchaser of the Gazan gas, it could prevent the exploration by other means. During price negotiations with BG, Israel insisted that it receive a price for the gas that would have been almost three times lower than the normal market price at that time. Since the profits would thus be considerably lower than previously expected, BG eventually decided to leave the negotiations with Israel in 2007. Instead, BG started to look elsewhere for potential purchasers. By converting the extracted gas into liquid natural gas (LNG), BG could have access to bigger markets in Japan and Korea. Despite Israel’s unlawful claims, nothing could be done about the situation and BG is not currently working on the project. The untapped gas reserves are yet another lost economic opportunity for Gaza, whose economy has been devastated by the siege Israel imposed following the Hamas takeover in 2006. Today, the gas still remains trapped 600 m under the sea, hidden away from the Palestinian people, and this is just where Israel wants it. The Gaza Strip, governed by the Islamist group Hamas and in a permanent state of tension with Israel, is not the only place in the Middle East facing water woes. A NASA study of satellite data released this year showed that between 2003 and 2009 the region lost 144 cubic km of stored freshwater - equivalent to the amount of water held in the Dead Sea - making an already bad situation much worse. Only five to 10 percent of the aquifer's water is presently deemed safe to drink, but even this can mix with poor quality water during distribution, making it good only for washing. "The tap water from the municipality is not fit to drink, and my husband is a kidney patient," said Sahar Moussa, a mother of three, who lives in a cramped, ramshackle house in Khan Younis in the southern Gaza Strip, near the Egyptian border. She spends 45 shekels ($12.50) each month - a large sum for most Palestinians in the area - to buy filtered water that she stores in a 500-litre plastic tank. 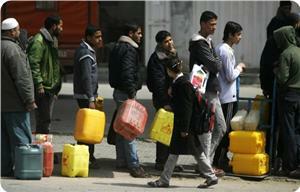 The United Nations estimates that more than 80 percent of Gazans buy their drinking water. "Families are paying as much as a third of their household income on water," said June Kunugi, a special representative of the U.N. children's fund UNICEF. With no streams or rivers to speak of, Gaza has historically relied almost exclusively on its coastal aquifer, which receives some 50-60 million cubic meters of refill each year thanks to rainfall and runoff from the Hebron hills to the east. But the needs of Gaza's rapidly growing population, as well as those of the nearby Israeli farmers, means an estimated 160 million cubic meters of water is drawn from the compromised aquifer each year. As the levels sink, seawater seeps in from the nearby Mediterranean. This saline pollution is made worse by untreated waste, with 90,000 cubic meters of raw sewage allowed to flow into the shallow sea waters each day from Gaza, according to U.N. data. Even with the aquifer, regular running tap water is a luxury unknown to many Gazans. Locals across the territory say that during the summer months water might spurt out of their taps every other day, and the pressure is often so low that those living on upper floors might see just a trickle. Many families have opted to drill private wells drawing from water deep underground. Authorization is required but rigid restrictions means most households dig their wells in secret. Hired laborers erect large plastic sheets to try and hide their work from prying neighbors. "As you can see, this is like a crime scene," said a 45-year-old father of six, who gave his name as Abu Mohammed. A clothes merchant from Gaza city, he paid his clandestine, 7-strong crew 12,700 shekels ($3,513) to drill a well and came across water at a depth of 48 meters. "We begin the work after sunset and ... cover the sound of digging with music," he said. A senior Israeli security official estimates that as many as 6,000 wells have been sunk in Gaza, many without authorization. While Israel shares the polluted aquifer, which stretches all the way to Caeserea, about 60 km north of Tel Aviv, the problem is less acute than in Gaza which is downstream. In addition, Israel can access water from the Sea of Galilee and the mountain aquifer that also spans the West Bank. As Gaza borders the sea, the obvious answer is desalination. Gaza already hosts 18 small plants, one treating seawater and the others water from brackish wells - most of them supplied by UNICEF and the OXFAM charity. The Palestinian Water Authority has started work on two new seawater desalination plants and is planning to construct a third, larger facility, which is designed to produce 55 million cubic meters of water a year. But with funding for the $450 million project still uncertain, construction is not due to start until 2017. By that time, cash-strapped Gaza may not have enough electricity available to power the energy-intensive plants. The United Nations estimates that Gaza already needs an additional 100 megawatts of production capacity, even before the big water facility is built. Israel is trying to drum up aid for the territory, the senior security official said, alarmed at the prospect of a looming water catastrophe and possible humanitarian crisis on its doorstep in a few years. "We have talked to everyone we know in the international community because 1.4 million people will be without water in a few years," he said, asking not to be named because of the sensitivity of the issue. He said Israel, a leader in the desalination industry, was helping to train a handful of Gazans in the latest water technology, which the Palestinian Water Authority confirmed. Sheikh called on international donors to help fund energy, water and sewage projects, warning of disaster if nothing happened. "A small investment is needed to avoid a bigger one and it is a humanitarian issue that has nothing to do with politics or security," he said. The petrol crisis in Gaza Strip has impeded implementation of a number of developmental projects in the besieged coastal enclave. Ezzeddin Dahnun, Jabaliya municipality chairman, said in a statement on Sunday that fuel shortage crippled work in a number of infrastructural projects in the northern areas of the Strip. He said that asphalting roads stopped as a result of the fuel crisis, adding that holes were still present in a number of main roads. Dahnun said that municipal services in Gaza were slashed by 40% as a result of the crisis. 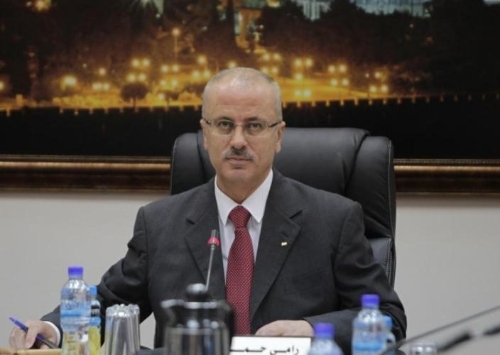 Caretaker Prime Minister Rami Hamdallah said Friday that his government was doing all it can to pay salaries for its 180,000 public employees in the West Bank and Gaza Strip before the end of Ramadan holiday, Eid al-Fitr, which is expected to be around August 10. He said during a tour of Nablus in the north of the West Bank that in spite of the financial difficulty the government is facing, it will do its best to pay the salaries and also pay some of its outstanding debt to private sector companies.